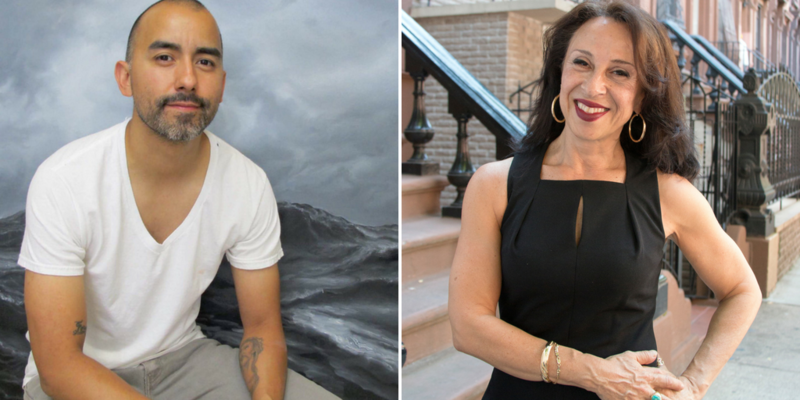 Journalist Maria Hinojosa (NPR’s Latino USA) joins artist Vincent Valdez in conversation about his work The City, on view at the Blanton beginning on July 17. The talk begins at 6:30pm in the Blanton Auditorium located in the Edgar A. Smith building (located across the plaza from the gallery building). The talk is free admission and tickets will be available beginning at 5:15pm on a first come/first serve basis. Please note there is limited seating so we recommend arriving at least 15-30 minutes before the start time to secure your seat. The Blanton’s contemporary project space will be open for viewing of The City from 5:15pm – 6:15pm on July 17. All other areas of the museum with the exception of the modern & contemporary galleries, which contain two additional works by Valdez, will be closed. The Blanton is located at the intersection of Congress Avenue and Martin Luther King Jr. Boulevard. Paid parking is available in the Brazos Garage on Brazos Street and Martin Luther King Jr. Boulevard. Parking is $4; bring your ticket with you to the museum. For 25 years, Maria Hinojosa has helped tell America’s untold stories and brought to light unsung heroes in America and abroad. In April 2010, Hinojosa launched The Futuro Media Group with the mission to produce multi-platform, community-based journalism that gives critical voice to the voiceless by harnessing the power of independent media to tell stories that are overlooked or under reported by traditional media. As the anchor and executive producer of the long-running weekly NPR show Latino USA, and as anchor of the Emmy Award-winning talk show Maria Hinojosa: One-on-One from WGBH/La Plaza, Hinojosa has informed millions of Americans about the fastest growing group in our country. Previously, a Senior Correspondent for NOW on PBS, and currently, a rotating anchor for Need to Know, Hinojosa has reported hundreds of important stories—from the immigrant work camps in NOLA after Katrina, to teen girl victims of sexual harassment on the job, to Emmy Award-winning stories of the poor in Alabama.